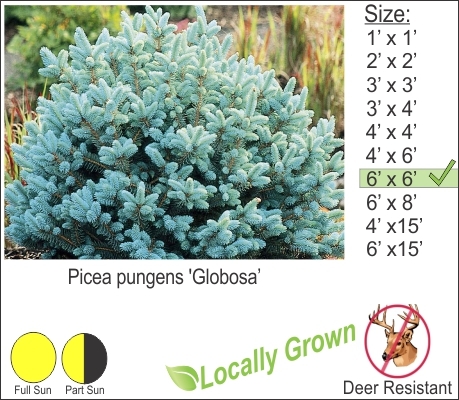 Globe Blue Spruce is a low mounding evergreen specimen. You can use the the Globe Blue Spruce to add a punch of color in your landscape beds and create a focal point in your gardens. I like to pair this spruce with burgundy foliage plants like Wine and Roses Weigela , Crimson Pygmy Barberry and Summer Wine Ninebark.